Will GOP moderates play role in House Speaker election? Outgoing House Speaker John Boehner was once considered one of the most conservative lawmakers in Congress. But he angered the tea party wing of the GOP by working with Democrats. The election of the next speaker set for Thursday is revealing divides among Republicans. 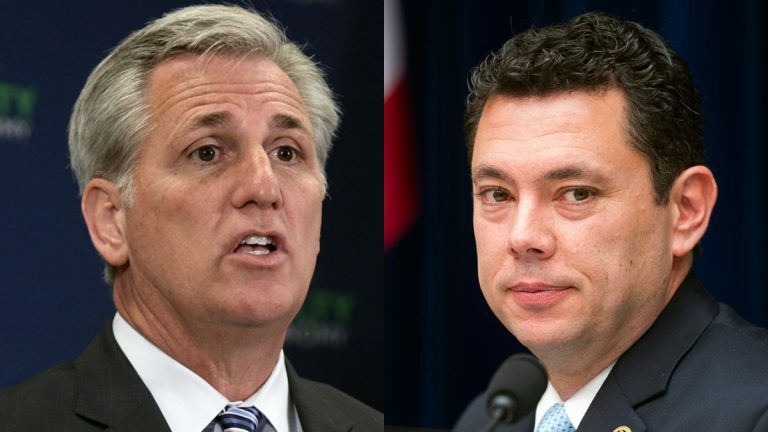 House Majority Leader Kevin McCarthy, Rep. Daniel Webster, a Florida sophomore, and Rep. Jason Chaffetz of Utah, chairman of the House Oversight Committee, are in contention to take up the speaker’s gavel. But U.S. Rep. Leonard Lance, R-Central New Jersey, is going to miss Boehner. “I think he did a fine job under extraordinary circumstances, and I’m sorry that he’s chosen to resign,” Lance said. Lance says the goals set by some members of his party, such as immediately repealing Obamacare and defunding Planned Parenthood, are unrealistic. “It’s clear to me that since Republicans have control of the House beginning in January 2011 there has been significantly greater financial discipline then was formerly the case, so we need to continue to do that. I do not favor shutting down government,” Lance said. Cutting spending is far from good enough for many House Republicans. Remember former Majority Leader Eric Cantor? He was ousted in his Virginia primary by economics professor Dave Brat. Now as a congressman, Brat joined a tea party group called the House Freedom Caucus. With the GOP picking new leaders, Brat is among a group of conservatives demanding leadership candidates meet a purity test. “I’m going to support whoever puts their principles down on paper ahead of time and those principles have to be the big deal. Balance budget, no amnesty, get rid of Obamacare,” said Brat. That purity test doesn’t sit well with more moderate Republicans. U.S. Rep. Pat Meehan, R-Delaware County, says those pledges could box in GOP leaders. 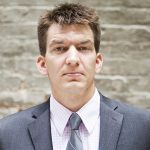 “Yeah, and I’m not so sure you can predict all of the dynamics of where we need to go and the future — either events we know of or events we can’t anticipate — so I’m always worried about litmus tests,” said Meehan. Meehan says some of his colleagues forget that the GOP only has a slim majority in the Senate, while a Democrat still sits in the White House with a veto pen at the ready. U.S. Rep. Tom Marino hails from Pennsylvania’s rural Lycoming County and would not describe himself as a moderate. He says with Boehner on his way out, there’s a chance for him and other rank and file Republicans to have a greater say in the party’s direction. “It’s time for us, as the Pennsylvania delegation has been doing, looking these guys in the eyes and saying ‘OK what are you going to do about this?’ and this is we think should be done about conferences and getting involved in matters,” Marino said. Marino adds that it’s good for the GOP that Speaker Boehner — whom he calls John — is moving aside and allowing the next generation to lead. “You know there’s a transition here and I don’t mean this pejoratively to anybody. John is part of the old guard and now, you know, part of the old guard that was cast with 88 of us in the 2010 election who are the 21st century guys,” Marino said. Tea party conservatives had been mumbling about trying to push Boehner out this fall. His voluntary exit is saving the party some embarrassment, according to South Jersey Republican Tom MacArthur. “Speaker Boehner, I think, decided to leave now because he thought it might help to bring some healing and I’ve seen some evidence of that,” MacArthur said. Still, the tea party isn’t a group that will just go along with whatever direction the party moves. MacArthur is predicting a fresh set of headaches for the new slate of leaders. “I’m a realist. People’s convictions aren’t going to just go away and tactics that have worked for different groups are not going to just be forgotten, they’re going to do the same things over and we’re going to have to deal with that,” MacArthur said. 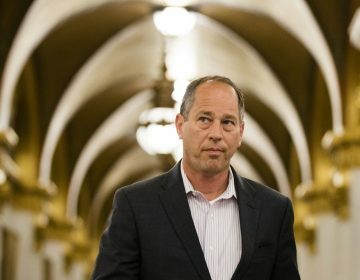 Some more moderate Pennsylvania and New Jersey Republicans are trying to convince incoming party leaders that there’s a critical mass of lawmakers who want them to govern in the middle, but they’re facing off against the vocal and energetic tea party wing. Whoever wins could have implications for next year’s presidential race.